Every Stripe tells a story. A story about your journey in life; your passions, dreams and every success. Your stay with us will unfold a distinctively different tale. Share your Stripes story with us. 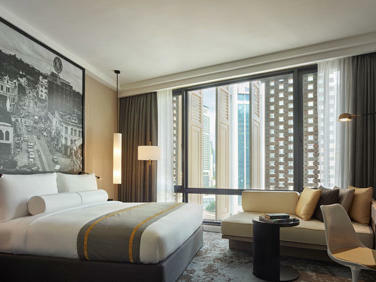 184 bespoke guest rooms and suites are a unique blend of contemporary design and urban chic, reflecting the history and character of the neighbourhood. Guest rooms feature custom furnishings, free Wi-Fi, HD TV, complimentary minibar, espresso coffee machine and all of the overnight essentials you might need. Brasserie 25 exudes a rustic charm. With its red brick arcades, mid-century copper sputnik chandeliers and dark wood floors, this restaurant provides a dramatic yet relaxed vibe. Here you can drop by any time for coffee, leisurely breakfast or settle in for lunches and informal dinners from our ever-changing seasonal menu to irresistibly unique dishes inspired by guest chefs. Cosy with stripped-back walls giving it an industrial edge, The Snug is a unique and inspiring multifunctional space for one-of-a-kind events. By day, The Snug is a great space to host meetings and product launches. 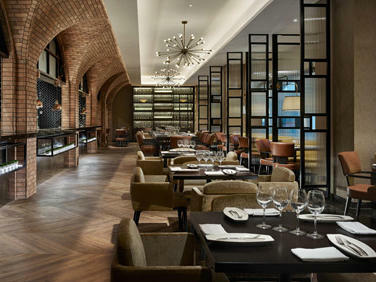 By night, this imaginative venue is transformed for private dining and parties. An exciting neighbourhood nook-inspired rooftop bar is the new spot for soothing tunes and easy going vibes. 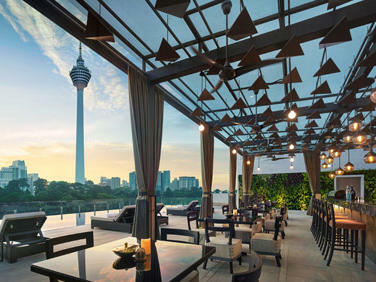 A relaxing space with unobstructed views of downtown KL that makes it feel as though you are floating at the skyline. An urban escape that is the perfect setting drawing in both visitors and locals.